Intravenous fluid, just as with any drug, must be administered in exactly the right dose. Sepsis, as the most common cause of shock faced by most acute care providers, illustrates the clearest example. As the lessons of early antibiotic therapy and adequate source control have achieved the level of common wisdom,8 and as once promising adjunct therapies such as vasopressin, corticosteroids, and activated protein C have become mired in uncertainty (or worse),5 the physician presiding over a patient in septic shock is often left with one major decision—how much fluid should I give? We have tools that are easy to deploy. Performing a physical examination, assessing vital signs, or measuring central venous pressure all fall into this category, but none has any meaningful correlation to FR.9,10 We have tools that seem to accurately predict FR, such as passive leg raise11 or pulse pressure variability,12 but neither tool is easy. Passive leg raise requires that an estimate of stroke volume be used as the dependent variable,11 committing the operator to a measurement device that is either very invasive (right heart catheterization), labor intensive and operator dependent (echocardiography),13 or of controversial precision (bioreactance14 or pulse contour analysis,15 among many others). Pulse pressure variability is not particularly invasive, but can only be reliably used for a small fraction of patients.16 Beyond being passively mechanically ventilated with large tidal volumes, patients must be in normal sinus rhythm and have relatively normal right ventricular function, pulmonary compliance, and pulmonary arterial pressures; patients who meet all six criteria are rare indeed. Into this morass steps a tool billed as the solution to our important problem: assessment of the inferior vena cava (IVC) by ultrasound. Indeed, the last decade has seen an explosive increase in the use of this tool, and why not? With ultrasound machines residing in every nook and cranny of most every hospital, and with studies reaching back 15 years attesting to its accuracy,17,18 it seems at first glance to be the answer to our easiness/accurateness dilemma. Unfortunately, a more detailed examination of both the basic physiology and the base of evidence underpinning IVC analysis leads to the uncomfortable conclusion that it simply does not work as well as is generally perceived. A detailed technical description of the ultrasound technique is beyond the scope of this paper and is well-described elsewhere.19 Suffice it to say that placing a phased-array transducer just beneath the patient’s xiphoid process with the orientation marker directed cranially easily yields a view of the IVC in most patients. From here the operator can freeze the screen and measure the diameter of the IVC at end-expiration, where the intrathoracic pressure is closest to atmospheric pressure. A small IVC diameter is evidence of an FR state and a larger diameter the converse, although the appropriate cutoff point is difficult to pin down. Alternatively and more commonly, the variability of the IVC with respiration (ΔIVC) is used as a marker of FR. Here, the size of the IVC at end-expiration is compared with that at end-inspiration, and a percentage change in size is calculated; M-mode is often used to simplify this task. The IVC will collapse on inspiration in patients breathing spontaneously and will distend for patients ventilated with positive pressure, but in either case the change in IVC diameter is the variable of interest. Larger values are taken as evidence of an FR state, but again an optimal threshold value is challenging to determine. The operator is typically advised to measure the IVC diameter 1–2 cm from the cavo-atrial junction,20 avoiding the hepatic vein. In a structure that averages 17 mm in the average adult21 and tends to flare as it approaches the right atrium, the chosen point of measurement can influence the result significantly. Operators who favour M-mode for IVC measurement may fail to ensure that the IVC is perfectly perpendicular to the long axis of the vessel; such errors will cause the diameter to be overestimated. Accurate measurement requires that the ultrasound plane transect the true middle of the vessel; measurements taken from other planes underestimate the true diameter. The IVC shifts roughly 4 mm in the medio-lateral plane with inspiration,22 introducing a significant measurement error. The IVC is typically measured in a sagittal plane, but when the IVC collapses (or expands) it does so in a plane that is not perfectly sagittal.22 If a sagittal plane is taken to be at 90°, the IVC typically collapses at about 115°, a further source of error in calculating ΔIVC. The inter-rater reliability of IVC measurements is far from perfect (mean difference, 4%; 95% confidence interval [CI], -30% to 38% in one study24; correlation coefficient, 0.6; 95% CI, 0.45 to 0.72 in another25) raising the uncomfortable possibility that two providers using the same tool at the same time could come to opposite conclusions for the same patient. As parallel and similarly sized structures in direct proximity, the IVC and aorta can be mistaken for one another; the frequency of this error is not known. The change in size of the IVC depends entirely on swings in intrathoracic pressure. Therefore, in spontaneously breathing patients, the magnitude of the respiratory effort represents a crucial and impossible to quantify variable. It is easy to imagine a patient who is so dyspneic that they cause the collapse of a “full” IVC, and contrarily a patient who is barely breathing and therefore does not collapse an “empty” IVC. The situation in mechanically ventilated patients is not much easier. While rendering a patient passive on the ventilator through use of paralytic agents or heavy sedation and raising tidal volumes to high levels (unfortunately, 8–10 mL·kg−1 in almost every study) is a well-meaning (though not benign) attempt to remove some of the ambiguity associated with variations in intrathoracic pressure, it does nothing to alleviate the variability associated with poor lung compliance, to name but one confounding factor. Patients with right ventricular dysfunction typically have a chronically enlarged IVC, confounding attempts to interpret the size of the vessel. 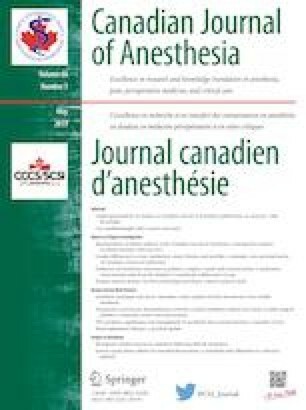 The first positive result comes from a study requiring patients to perform a standardized and quantitative inspiratory effort,35 a technique that cannot be applied to patients who are dyspneic, supine, confused, or intubated, greatly limiting its applicability to critical care. The second36 is a relatively large (n = 124) emergency department study, which yielded a strong positive result but was criticized for the use of a somewhat controversial tool to estimate FR (thoracic bioreactance), the late enrolment of patients (16 hr after presentation, having already received 4 L of fluid on average), and the low inter-rater reliability (0.67) between experts. Given the above information, it seems fair to conclude that the literature does not clearly support the use of ΔIVC to predict FR in spontaneously breathing patients. This fact, when combined with the worrisome technical and confounding factors as described in the introduction, is a strong argument in favour of abandoning the tool for this patient population until further data becomes available. Starting with the most straightforward question, can simply measuring the size of the IVC at end-expiration predict FR in mechanically ventilated patients? Unfortunately, the answer to this question appears to be “no”. In what is by far the largest and best study on this subject to date, Vieillard-Baron et al.26 considered 540 consecutive critically ill patients. This cohort featured patients who were intubated and passive on the ventilator, in conditions ideal to study IVC analysis such as we currently understand them. When the end-expiratory IVC dimeter was measured, the IVC diameter distribution curves for the FR and non-FR groups overlapped so extensively as to remove any potential discriminatory value. The authors conclude that end-expiratory IVC diameter “poorly predicts FR because of a broad range of uncertainty”. The same study also approached this problem using a “grey zone” approach.37-39 If one were to require, at a minimum, a sensitivity and specificity of 80%, one could set two thresholds for end-expiratory IVC diameter based on the data in this cohort of patients. An IVC diameter of < 13 mm would predict FR with a specificity of 80%, whereas an IVC diameter of > 25 mm would exclude an FR state with a sensitivity of 80%. Translating this into plain English, a clinician would give fluids to a patient with an IVC diameter of 13 mm or less, withhold fluid from patients with an IVC diameter of 25 mm or more, and be unable to interpret any IVC diameter between 13 and 25 mm. This seems like an excellent solution to the problem at hand, except that in this cohort, a full 71% of all patients fell within this grey zone, rendering the tool useless in a large majority of cases. There are eight studies examining the use of ΔIVC for determining FR in mechanically ventilated patients. Of the eight, three are negative40-42 and the remaining five17,18,43-45 are all small (n = 23–49) single centre efforts, which are further limited by variability in patient populations and illness severity. Such studies, while extremely valuable, should be repeated with much larger sample sizes prior to being accepted as generalizable and true. This is especially important when, as in this case, there is a mix of negative and positive results. Fortunately, in the same large cohort of 540 critically ill patients described above, Vignon et al.2 also examined the utility of IVC variability in determining FR, and compared it with three other commonly used methods. Of the four methods tested, IVC variability performed worst of all, with an area under the receiver operator curve of only 0.635. Examining the Vignon et al.2 data from a Bayesian perspective highlights how the analysis of IVC variability is unlikely to be useful at the bedside. Beginning with a pre-test probability for FR of 50%, a very reasonable proposition for most patients early in their critical illness,3 a positive result on the test (ΔIVC > 8%) would only increase the post-test probability of an FR state to 65% (specificity 70%, positive likelihood ratio 1.83). A negative result (ΔIVC < 8%) would decrease the post-test probability of an FR state to 39% (sensitivity 55%, negative likelihood ratio 0.64). This, of course, leaves the clinician precisely where they started, in a position of great uncertainty. Beginning the exercise with perfect uncertainty (a 50% pre-test probability), after examining the IVC there is either a 65% chance of an FR state with a positive test or a 39% chance with a negative test. In both scenarios, far too much uncertainty remains to act confidently. Perhaps then a grey zone analysis26 can improve the usability of IVC variability; the authors of the Vignon study2 are equally helpful here. Setting a threshold for IVC variability at 3% results in an optimal sensitivity (to rule out an FR state) of 74%. Setting a threshold of 18% optimizes the specificity (to rule in an FR state) at 90%. Translating this to plain English, a clinician would give fluids to a patient with a ΔIVC of 18% or more, withhold fluid from patients with a ΔIVC of 3% or less, and would be unable to interpret any ΔIVC value that fell between 3% and 18%. Again, this seems like a wonderful solution to this vexing problem; but, importantly, 53% of patients in this study fell in the range between 3% and 18% (data obtained through personal correspondence with the author), rendering them uninterpretable and the test therefore unhelpful. The use of ultrasound for resuscitative purposes is expanding rapidly, and there is excellent reason to suspect that it will be of benefit to patients.46 Further study is, of course, required, and an important part of the safe evolution of point-of-care ultrasound will be to recognize when certain aspects, like IVC analysis, are being applied overzealously. There are multiple technical reasons to fear for the accuracy of IVC measurements. Even if we assume the measured value is true, there are a host of confounding factors, of which almost every patient will have at least one. For spontaneously breathing patients, the weight of currently available evidence suggests that the tool has poor predictive value, and thus supports abandoning the use of IVC analysis in this patient population until new data shifts this balance. For mechanically ventilated patients, the story is slightly more complex. A series of small studies has yielded mixed results, but the best data to date suggests that there is no single threshold which can be used as a cutoff value to discriminate between patients who are FR and those who are not. A grey zone analysis improves the performance characteristics of the test, but most patients will fall within the grey zone where the results simply cannot be interpreted. Looming unhelpfully over this discussion is the additional fact that a minority of mechanically ventilated patients are likely to meet criteria for IVC analysis on any given day, analogous to the problem faced by pulse pressure variability.16 Put simply, the tool is rarely useful where real uncertainty exists. It is likely that IVC analysis will eventually be seen as a modern day central venous pressure; rapidly and enthusiastically adopted not because it was accurate but because it was easy, and because we were desperate for a solution to an important problem. We are still desperate for a practical solution to this same FR problem, but it seems clear that IVC analysis will not be helpful for a large majority of patients and should therefore be abandoned in most situations. Orso D, Paoli I, Piani T, Cilenti FL, Cristiani L, Guglielmo N. Accuracy of ultrasonographic measurements of inferior vena cava to determine fluid responsiveness: a systematic review and meta-analysis. J Intensive Care Med 2018; DOI: https://doi.org/10.1177/0885066617752308.